Brown authored a book called Official Truth 101 Proof, which was released in April 2013. The book documents Pantera’s formation, career, and break-up. He’s also a featured artist on the bass guitar instructional website Jamplay.com. Pantera was an American heavy metal band from Arlington, Texas. The group was formed in 1981 by the Abbott brothers – drummer Vinnie Paul and guitarist Dimebag Darrell – along with vocalist Terry Glaze. Bassist Rex Brown joined the band the following year, replacing the original unofficial bass guitarist Tommy D. Bradford. Having started as a glam metal band, Pantera released four albums during the 1980s. Looking for a new and heavier sound, Pantera replaced Glaze with Phil Anselmo in late 1986 and released Power Metal in 1988. With its fifth album, 1990’s Cowboys from Hell, Pantera introduced a groove metal sound. 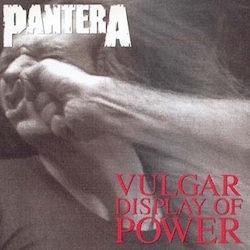 The sixth album, 1992’s Vulgar Display of Power, exhibited even heavier sound. Far Beyond Driven (1994) debuted at number one on the Billboard 200. Tensions began to surface among the band members when Anselmo became addicted to heroin in 1995; he almost died from an overdose in 1996. These tensions resulted in the recording sessions for The Great Southern Trendkill (1996) to be held separately. The ongoing tension lasted for another seven years, in which only one studio album, Reinventing the Steel (2000), was recorded. Pantera went on hiatus in 2001, but was disbanded by the Abbott brothers in 2003 amid communication problems and their conclusion that Anselmo would not return to the band. 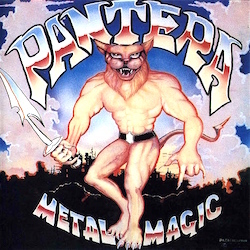 Metal Magic is the debut studio album by American heavy metal band Pantera, released on June 10, 1983 by Metal Magic Records. 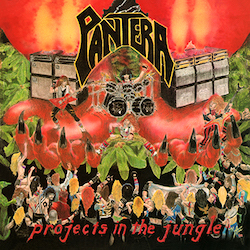 Projects in the Jungle is the second studio album by American heavy metal band Pantera, released on July 27, 1984 by Metal Magic Records. The band made their first music video for the track “All Over Tonight”. 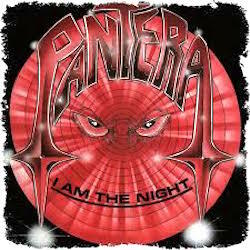 I Am the Night is the third studio album by heavy metal band Pantera, released in 1985 through Metal Magic Records. 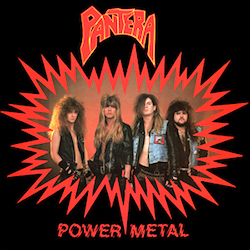 Power Metal is the fourth studio album by heavy metal band Pantera, released in May 1988 through Metal Magic Records. 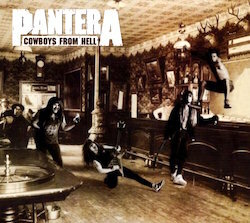 Cowboys from Hell is the major label debut and fifth overall studio album by American heavy metal band Pantera, released on July 24, 1990 through Atco Records. Vulgar Display of Power is the second major label and sixth overall studio album by the American heavy metal band Pantera, released on February 25, 1992 through Atco Records. 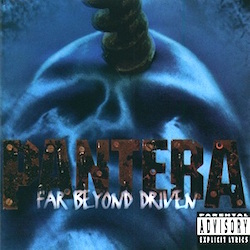 Far Beyond Driven is the third major label and seventh overall studio album by American heavy metal band Pantera, released on March 22, 1994 by EastWest Records. 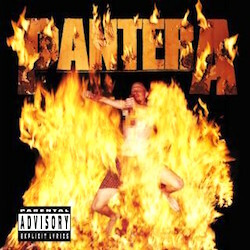 The album is Pantera’s fastest-selling album. 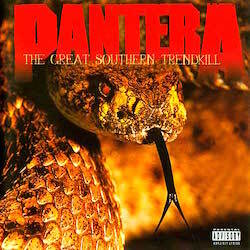 The Great Southern Trendkill is the fourth major label and eighth overall studio album by American heavy metal band Pantera, released on May 7, 1996 by EastWest Records. 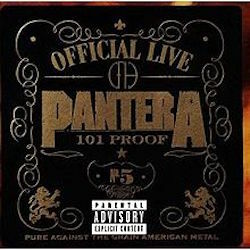 Official Live: 101 Proof is a live album released by Pantera on July 29, 1997. Reinventing the Steel is the fifth major label, ninth overall and final studio album by American heavy metal band Pantera, released on March 21, 2000 by EastWest Records.